Your Organization ID is a unique identifier assigned to you. Do not share this field with anyone except a Propertybase representative. 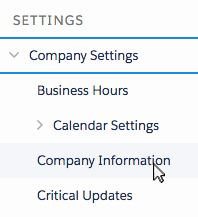 To locate your Organization ID click on the gear icon in the top right corner of the screen. Then click the setup link. Next, in the left menu bar, click Company Settings and then click Company Information. You will see your Organization ID on this page. 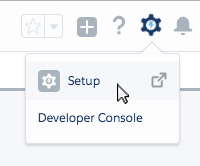 To locate your Organization ID click Setup in the top right corner of the screen. 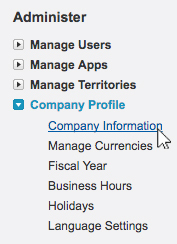 Next, in the left menu bar, click Company Profile and then click Company Information.